1. Jigsaw puzzle pieces containing images of playing cards are displayed in a box. The magician asks a spectator to freely name any picture card he wishes.2. The pieces are all dropped out of the box, and assembled.3. 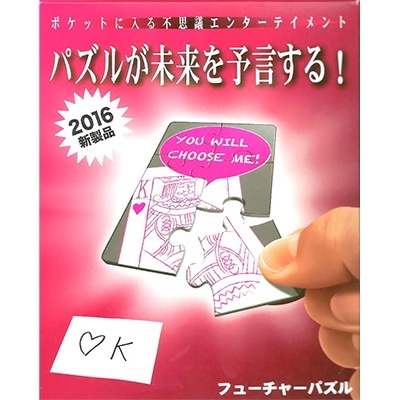 Amazingly, the puzzle shows an image of the exact picture card that was named!